The program is intended for installation key and activate Windows 7-10 and Office 2010-2016. If the set key enables activation over the network, via the Internet, the product is activated automatically, if this does not happen and the key is not blocked – the code is issued to transfer M$ Activation Center to activate by phone. 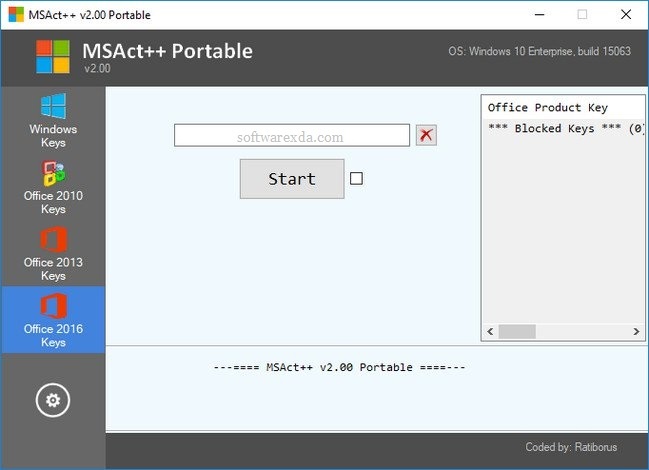 Unlike MSAct in the program MSAct Plus has the ability to create groups of keys for different products.